It's been a while since I wrote a news topic due to health issues and other personal reasons. After such a while there's a lot to talk about, so I'll summarize a few things and I'll use bold lettering to mark the various topics I'll be discussing to prevent turning this into a huge clutter and give you the option to read the parts you find interesting. -Warclicks was featured as a "hot new game" on Kongregate for a few weeks, allowing our rating to increase from 3.4 to 3.7 out of 5. The past 2 months we were able to get far better results due to our addition and relationship with Kongregate and the addition of several new features in-game. We estimate to generate about the same revenue during this month and aim for a further 25% improvement in revenues before the end of 2018. The first two weeks of October we have/are working on specifications for Country vs Country (CvC) feature, and beginning on preparing a design for it. A programmer is working on the daily promo codes feature, that will give you out additional in-game rewards every day. The second half of October our programmer will begin work on CvC, which is scheduled to launch second half of November. I will focus for 2 weeks on some bugfixes, issue checks, but mainly on a MAJOR re-balance and progression improvements of the game as a whole. From early game in Boot Camp and War Zone to ensuring late game in both keeps staying eventful and balanced. Pretty much any thing you can think of that are currently poorly balanced at a point (upgrades, WZ upgrades, achievements, ranks, levels, DPC, unit health, support units gain and losses...) will try to be improved as a whole here. This is an extremely complicated and time-consuming process, as we have to ensure your progress is not reduced at any point, but also doesn't skyrocket a specific point too much either! We will prepare specifications for a new feature „Events“, which will give us the option to create various fun time-limited pieces of content each month or so to spice things up for you and keep things interesting! As designer will work on preparing the design for this, I will begin code implementation already, as this will be a 3-4 week project to prepare, and the first event will be launched in December. After CvC is released the first programmer will continue work on some game improvements, but will also start work on some „management“ improvements we have to get to. As our userbase is getting larger and larger we also need to ensure we have proper systems in place for managing support requests, resolve issues better, and just save us time on support and management, so we can use more of it actual game development. In December, we will be focusing mainly on improving various other features, work on improved user experience, optimize the game's performance, and do a bit of „house cleaning“ (like maintenance of computers so they don't crash haha!). We want to tackle with some additional improvements to game management, but also take some time to study various new technologies we can use to improve game's performance and usability, decide on addition to new platforms, brainstorm ideas, plans and priorities for 2019. Don't worry though – we will continue trickling out any smaller updates and improvements throughout these months whenever we can! And don't forget that we will be addressing game balance properly very soon. Combined with events, you will have plenty of things to do, even when we won't be able to use 100% of our time focused on game updates later in December. Orlando also opened an Instagram page to explore its possibilities for Paidverts, this will be an experiment for now. -We've added a BAP for cash-button. This button allows you to skip a few steps when trying to "fire sell" your BAP for cash. Originally you would have to log in to mytrafficvalue, sell your BAP for shares, then sell your shares for cash. This option removed 2 of these steps, namely logging into mtv and having to perform 2 actions to sell your BAP. This option allows you to earn even more money on Paidverts. This is currently our best paying offerwall, especially for the spanish community this should add quite some cash to your wallet! We are going to improve the advertiser's experience by a LOT. As of now buying advertising on Paidverts can be quite confusing and time consuming. It shows people 9 advertising options without a quick method to grasp the benefits of each. This can be vastly improved and we're currently discussing the specifics of it. By simply playing our games on MyTrafficValue during October (3rd October - 31st October plays apply) you will be eligible for a 100% cashback on any losses up to $5, and an extra 25% cashback up to $500! The only requirement is that you must wager at least $300 in total bets on any of our games combined. **The cashbacks will be paid automatically during the starting days of November. -From Monday the 22nd of October until Wednesday the 24th of October we will be giving 20% additional Bonus Ad Points on Bulk Ad purchases. On all the other advertisement options there will be a 50% discount of the cost. 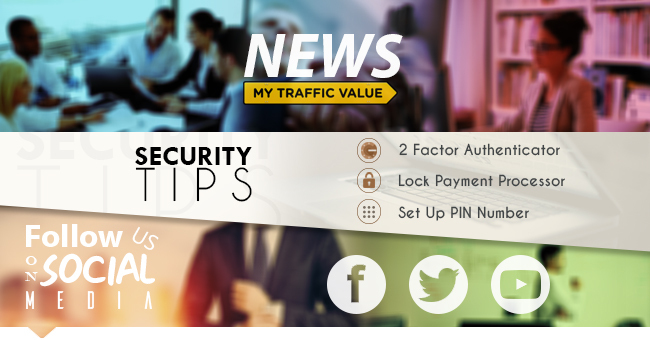 This is on top of the cashback offer on mytrafficvalue, making it the best place to try your luck if you happen to be a reader of this topic. These are the best odds you ever had at winning something on our websites. We want to keep growing with Warclicks. That's why we need to make sure to keep our communities growing, globally. The Venezuelan marketers will be helping us to expand in spanish speaking countries, while we ourselves will continue to market it globally while getting in some partnerships here and there to improve communities in certain areas of interest. It's always nice to read the good news. What makes me especially happy is the option to transform our FTQ investments into advertisements. I truly hope it will help us clear FTQ debt much faster. Keep on developing and marketing Warclicks, it seems to me that this game could be a life changing opportunity for MTV. There will be a way of tracking the FTQ exchanges? @vicura Not really - they will simply be paid/marked as paid any any FTQ payments deducted as admin adjustment. This is the only simple way that is worth the time investment to allow for this option. I was wondering. For the Fast Track Queue investments to advertising, did you consider to include the Bulk Ad (incl. BAP) option? If you did, do you mind sharing why you didn't? I understand that could potentially bring up to 500 million extra BAP to the market, but you can also see it as a (up to) 200k sale of Bulk Ads. It would result in a lot of additional debt, sharing in the profitability of the ad pool, without adding money for instant results and development funds. This would result in a further drop of active users, for sure. Yeah, I figured it would be to much of a risk. Something else, if you're thinking about a new project, I would suggest a dice game. I know there are some around already, but they are very popular. You can first integrate the game in the existent sites of MTV and if it gets popular we could think about a standalone site. (like primedice, duckdice, faucethub.io has one too). Thanks for the nice updates. I know there is a firesell option BAP to cash but can you make it more visible and maybe even add a button on the Paid Ads page ? i cant find it . Talking about Faucethub, that would be great to add as a payout option! Great to receive a new update on the current work and future focus. and about 1 more click to give Warclicks a 5 star rating. I'm not saying scam the system. Try another couple of games as well. Personally I played a snooker and a mini golf one, and they were both pretty good. I would second the request to improve the visibility of the firesell option on PV. It would be very interesting to know how many (if anyone) has used it given how difficult it is to find. I can understand it being introduced slowly, but feel there should now be a button up beside Balance, BAPS and APS. I'd be good to also have a link after you've clicked on your personal BAPs page. I still don't understand why the minimum firesell is 10% of you BAP holding? All cash/RP/BAP transfers have a fee, so the site would surely benefit from more use. "PlayBitcoinGames has been improved with new data to show constant activity in the top scorer tables"
Not for me it hasn't. Good update...hope you take the constructive feedback as intended. ps - Good luck with the recruitment Agency. I think that's a great idea and could be a great opportunity for people in a very difficult economic situation in Venezuela just now. While we encourage going to Kongregate and eventually rating us, don't do it specifically for that - just don't. Not only can the ratings be removed, our overall rating could be impaired if there's "incentivized rating" spotted like that. With that said, if you like playing games sometimes, definitely do sign up on Kongregate and ArmorGames, and play other games / use the platforms regularly. And if you're up for that, then definitely do rate us as well! But just for the sake of signing up and rating for War Clicks - please don't do that. Our average new rating since Hot New Games, has been a consistent 4-4.2, and it's just a matter of more players trying our game out and it consistently growing. So we simply have to work on ideally trying to get exposed again to get a huge influx of new players again (and with that ratings) to drive our rating up. "-We've added a BAP for cash-button." Pretty sure I'm just blind, but where exactly can I find this button? You are not the only blind person here. They hid this button very well. LOL. If you are on Paidverts Dashboard and you scroll down to the Green Bar that says "Maximise Your Earnings". The button is on that bar to the far right. Maybe the font could be even smaller, so it will be like a treasure hunt. At this point thinking that paidverts or MTV will steal yor ddeposited money doesnt really make sense.